COREA - VERNON (Former Director - News - SLBC/Ethnic Minorities Advisor - BBC). Beloved husband of Monica, father of Ivan, Vernon and Ouida, father-in-law of Charika, Fidelma and Praveen, loving grandfather of Charin, Rohan, Mark and Emily, Rebecca, Jeremy and Rachel. Funeral takes place at Emmanuel Church, Ridgeway, Wimbledon Village, London SW19 on Thursday 3rd October 2002 at 2.30 p.m. followed by a Service at Putney Vale Crematorium in London at 3.40 p.m.
Vernon Corea, a live-wire in Sri Lankan broadcasting for many years, passed away in his sleep on the night of Sunday, September 22, in Surrey, England. Earlier, he spent the day with his daughter and her family, returned home to receive a telephone call from his brother Ernest in America, read briefly, watched BBC News as he did every night, and then turned in for his final sleep. Vernon grew up in Borella, where his father was the priest-in-charge of St. Luke's Anglican Church for many years. 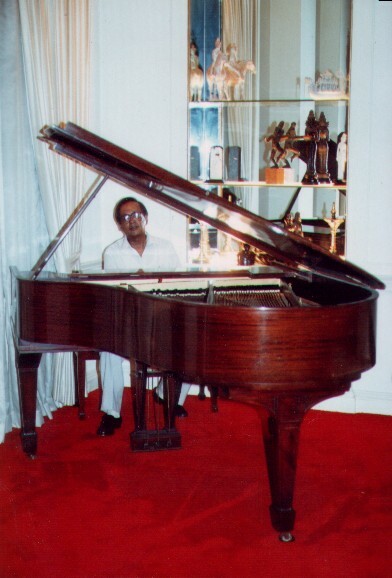 He was a gifted speaker, highly appreciated humorist, self-taught jazz pianist, organist, and occasional violinist. As a high spirited young person, he was once admonished for not following the sober lifestyle of his family, and retorted: "I'm simply trying to keep the balance at home." His gift for repartee stayed with him throughout his life, and endeared him to friends and acquaintances. He was educated at Royal College, Colombo and, later, at Bishop's Theological College, Calcutta, in preparation for a priestly life that, eventually, he did not follow. He took to a career of teaching, in Badulla, and returned to Colombo after the loss of an infant son. It was then that he moved into broadcasting, first as a relief announcer on the Commercial Service, then as a full-time announcer, and up various career steps at SLBC until he reached the position of Director, News. He was one of the broadcasters trained by Clifford Dodd, the founder of the Commercial Service, who maintained and passed on his exacting standards to those whom he mentored. Many of them went on to positions beyond SLBC, either in Sri Lanka or abroad. Vernon worked closely with several heads of SLBC, but always had the warmest feelings for Neville Jayaweera. Vernon was engaged in religious broadcasting in England for a time, until he was appointed BBC's first Ethnic Minorities Adviser, a position he held until retirement. He helped to expand multiculturalism in BBC's domestic programmes, and trained several broadcasters of many ethnicities. He was a "people person" both at home and abroad. He helped many young Sri Lankans up the ladder of fame. His home in Colombo was always open to those who needed his guidance, and he spent long hours with them. In London as elsewhere, he built up an ever-widening circle of trainees who remained his friends and admirers right up to his last days. Some of them were from Asian and African countries where he trained broadcasters as a visiting consultant. He shared his interests and talents widely, with no thought of the differences that divide. Vernon Corea passed away on Sunday at the age of 75 in London. He was a renowned Radio personality who joined the Commercial Service of Radio Ceylon during its formative years under the first Director, Commercial Service, Mr. Clifford R. Dodd. He rose to the position of Director, News before he migrated to the UK in the year 1975. He joined the BBC and served for many years as Ethnic Programmes Advisor. Many will remember him for his wit and humour which was often an integral and spontaneous part of his presentations both in the studio and on stage. The Suave And Inimitable Mr.Vernon Corea Remembered. He was a giant amongst broadcasters suave and inimitable during his days at Radio Ceylon later to become Sri Lanka Broadcasting Corporation as the News Director and much more! and a sheer guiding light to all the young aspiring broadcasters with a young at heart approach to inspire them and who were fortunate enough to come under his wing.Vernon was sheer magic with his incredible sense of humor and ingrained broadcasting skills with a deep velvety voice to match and a no nonsense type approach to the many sessions of pleasurable broadcast journalism he was involved with until his departure to England sometime during the turbulent 50s and 60s if memory holds correct. A perfectionist in every aspect of broadcasting, knowledgeable, flamboyant and outspoken in any situtation demanding integrity and honesty he never was one to mince his words displaying great charisma and decorum of another time and age which seems to have all but dissapeared in the world of broadcasting today and commanded great respect from all his subordinates as well as his peers which included the fiery late Livy Wijeymanne the one time no nosense Director. A true gentleman with a penchant for lyrical expression and a kindly disposition towards the lesser talented juniors always encouraging them to perfect their skills he was a tower of strength to the Broadcasting Industry of his time and leaves behind so many fond and revered memories during his tenure which surely brings a smile to those who remember him.Especially at the shows he compered! being a brilliant showhost with a wonderful sense of humor. His associates at the British Broadcasting Corporation where he worked as a co-ordinater for ethnic minorities as reported during the latter part of his career have raised many accolades to his charming personality and have been very appreciative of his presence there. Sincere heartfelt condolences go out to his family as his life is remembered as a celebration of joy and appreciation of a wonderful personality who exuded a rare Joie de Vivre to all who were fortunate enough to know him. I was one of them for a brief period in time. 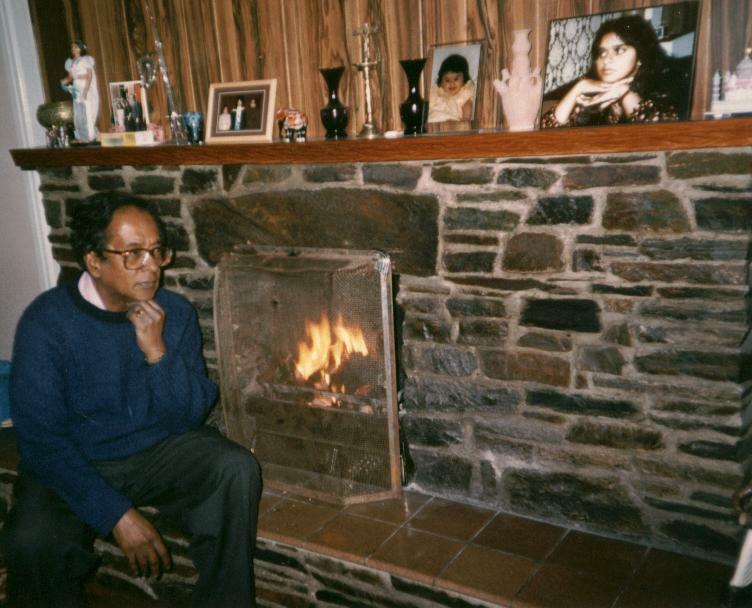 Parliamentarians, diplomats, broadcasters, journalists, clergy, members of the Sri Lankan Community in the UK are all expected to attend the funeral of one of Sri Lanka's pioneering broadcasters Vernon Corea on Thursday 3rd October 2002 at 2.30 p.m. The funeral service will take place at Emmanuel Church in the Ridgeway in Wimbledon Village followed by a service at the Putney Vale Crematorium at 3.40 p.m.
Vernon Corea was an outstanding broadcaster who gave 45 years of his life to public service broadcasting in Sri Lanka and in the UK. He joined Radio Ceylon in 1957 as a Relief Announcer rising to Director News of the Sri Lanka Broadcasting Corporation in 1974. After a brief spell in religious broadcasting with Radio Worldwide in London Vernon was invited to present the first Asian program in English - London Sounds Eastern on BBC Radio London in 1976. He was appointed the BBC'S first ethnic minorities adviser on 15th September 1978. Vernon was in the forefront of changing the BBC's policy towards minority ethnic communities and he trained people from these communities for the BBC's network of 22 radio stations across the UK. Vernon Corea changed the face of broadcasting in Britain by valuing diversity. He leaves behind his wife Monica and children Ivan Corea, Vernon Corea and Ouida Wickramaratne. Vernon is the brother of Ernest Corea, Sri Lanka's former Ambassador to the USA and a former Editor-in-Chief of the Daily News. Some of the great and the good of Sri Lankan life gathered in Wimbledon yesterday to pay tribute to broadcaster Vernon Corea, who died last month. Mr Corea's brother Ernest, the former Sri Lankan ambassador to Washington, flew in to attend the funeral at Emmanuel Church in Wimbledon Village where Vincent was a lay reader for many years. He was joined by a large gathering from the BBC and the diplomatic community. New Malden resident Mr Corea, the BBC's first ethnic minorities adviser, enjoyed a 45-year career in broadcast in Sri Lanka and the UK and was training people up until he died at the age of 75. Mr Corea lived in Coombe Gardens, New Malden, for 15 years with his daughter Ouida and was a highly regarded member of the community. He was also the first television announcer at the Sri Lankan TV trials in the 1970s. He joined the BBC in 1979 and presented the first ever Asian radio programme in English, London Sounds Eastern. He leaves behind his wife Monica, his children Ivan, Vernon and Ouida as well as grandchildren Charin, Rohan, Mark, Emily, Rebecca, Jeremy and Rachel. Ivan, 45, said: "He has made a contribution to the community and he has made his mark, especially in broadcasting that was his real love. "Even when he retired people were asking him for advice." The broadcaster Vernon Corea, who has died of diabetes aged 75, arrived in London from Sri Lanka in 1975 as a missionary with the Worldwide Evangelisation Crusade (WEC) - crucially, at a time when community-based local radio was just catching on. Initially, he worked voluntarily with BBC Radio London, creating a hit magazine programme for London Asians, mixing news, interviews and popular music. He also encouraged other talent; many well-known names owe their first studio experience to him. Three years later, in 1978, the BBC appointed Corea as its first ethnic minorities adviser, and he became the benign guru to a generation of minority community media professionals. Before his appointment, only rarely would they have considered a broadcasting career. Corea worked with 20 local radio stations, and today's BBC Asian Network owes its existence in no small measure to his endeavours. His background was in commercial radio, but he had a Reithian belief in the moral and social value of public service broadcasting. The training programmes that he set up filled a crucial gap in the multicultural mosaic. Born in what was then the British colony of Ceylon, Corea was the son of an Anglican canon, who wanted him to train for the priesthood. So after the Royal College, Colombo, where the Singhalese upper classes sent their sons to imbibe British culture, he was packed off to read theology at Serampore College, in Bengal. Serampore was originally a Danish settlement, which, apart from its distinction as a centre for Christian studies, was famous for its pioneering work in mass communications. The first typeface of any Indian alphabet was cast in Serampore, and the first Bengali language newspaper was published there. But Corea did not become a man of the cloth. Rather, he turned out to be, as he often joked, a "sound man", and returned to Colombo to join Radio Ceylon. In 1970, thanks to the Nuffield Foundation, he spent six months with the BBC in London. Meanwhile, he became increasingly involved with the WEC and its broadcasting arm, Radio Worldwide. Radio Ceylon had an unashamedly commercial aspect, and Corea became its business manager and news director. In those days, India banned commercial stations so, by targeting that audience with popular sponsored shows, Radio Ceylon was able to capture large numbers of listeners from All India Radio. Corea was a born broadcaster and racy raconteur, prone to making outrageous remarks with a straight face. But behind his frivolous manner was a generous and large-hearted Christian, who was also a lay reader at Emmanuel church in Wimbledon village, in south-west London. He is survived by his wife Monica, two sons and a daughter.